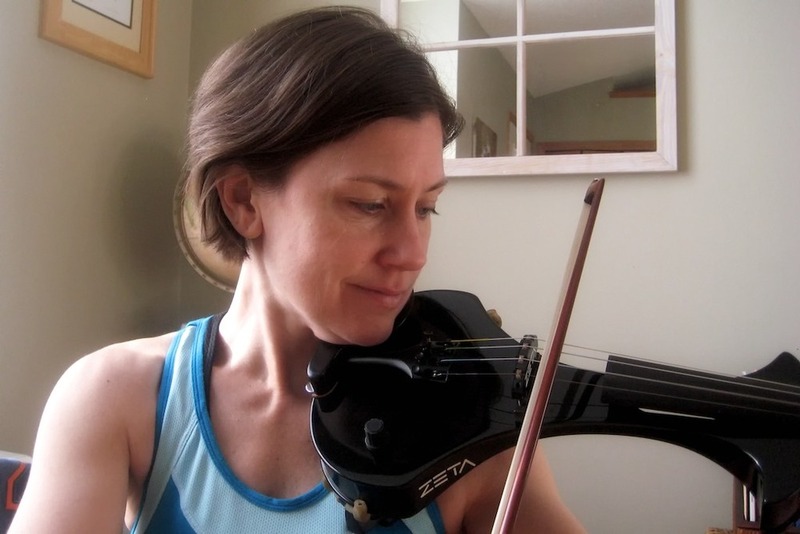 As my son started working his way toward “toddlerdom”, two things happened; *he* started taking violin lessons and I started a gradual return to a practice routine of my own. It turns out that when your child can feed himself, dress himself, use the bathroom alone and play unsupervised without choking on objects or falling from dangerous heights, it frees up a lot of time… and some of that time can be used for practice. After attending a series of concerts at the SPCO (did I mention my crush on Joshua Bell?) and watching other accomplished musicians from the University of Minnesota’s School of Music, I began to think about where I might be going with my own instrument. I’d been taking lessons for about 10 years and I needed some new goals. After an excruciatingly long time of playing very little other than the Bach Gavotte, I dared to look at the next piece of music in Suzuki Violin Book 5 . What I saw was the 2nd Movement of the Vivaldi Concerto in A Minor. It’s a deceptively small piece, maybe 14 measures, slow moving… sure there were plenty of 16th and 32nd notes, but it’s Largo, for heaven’s sake, it’s manageable… except, well, it shifts between 1st, 3rd and 4th positions about fifty times in 14 measures. Book 5 is where the music starts to feel “serious”… and serious music can only be dealt with by serious practice. After hours and hours… and hours of practicing that 2nd Vivaldi Movement, I managed to get my fish-shifting to a minimum and gave a decent performance of it at recital. Emboldened by the accomplishment, I showed up at a lesson with thoughts of playing Bériot’s Air Varié No. 14 in G from Barbra Barber’s Solos for Young Violinists . As we lumbered through some of the third position passages, my teacher referred to the gap between my performance and sight reading abilities as something like the Grand Canyon. She was right, of coarse she was… I didn’t see the need to spend much time thinking about scales, note names or intervals when playing the Suzuki repertoire was my only objective. My *pre-revised* Suzuki Books 1-4 had little numbers for fingerings all over the place, and listening to recordings daily made it pretty easy to recognize if an accidental had been missed. But now Suzuki repertoire wasn’t the *only* thing I wanted to play. Lessons and group weren’t the *only* places I wanted to play. The time had come to learn some new skills. 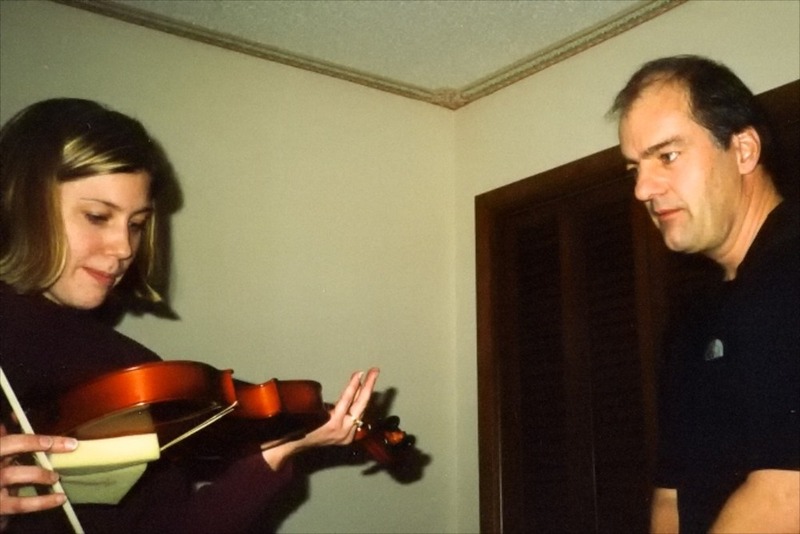 You are currently browsing the archives for the Beginning Violin as an Adult category.